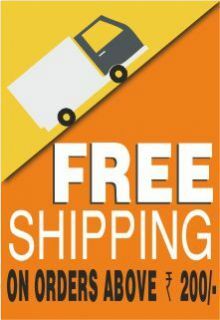 Pack Contents Gangajal, Deepam, ChandanamTablets, Pooja Bell, Peetha for Pooja Bell, Peetha for Pooja Bell, Pooja Akshata, Agarbathi, Agarbathi Holder, Vessel for Gangajal, Spoon, Vessel for collecting liquid offerings, Pugli Phala, Haridra, Haridra for making Symbolic Ganesha, kumkuma, Sindhoora, Vastra, Karpooram, Karpooram Holder. 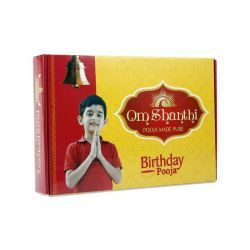 For your convenience Cycle Pure brings you Om Shanthi Anniversary Pooja Kit. A pack especially designed for married couples to perform a Pooja together on their Wedding Anniversary day,in the most easy and precise way, within the environs of their homes. Om Shanthi Anniversary Pooja Kit contains all the basic samagri required to perform Pooja on this special day. The booklet and audio CD have the instructions, procedure, and necessary shlokas for performing the pooja. The pack is crafted under the guidance of purohits to carry out the Pooja in a traditional way. Bring home this do-it-yourself Anniversary Pooja Kit and celebrate this special day with almighty’s blessings. Ideal for new generation, this pack helps them follow the sacred traditions in an effortless way. Wedding Anniversary is an important milestone achieved by a married couple year after year. It is the perfect time to commemorate the day when this sacred alliance was made. Seeking the blessings of almighty on this special day is extremely important for a blissful and successful married life.